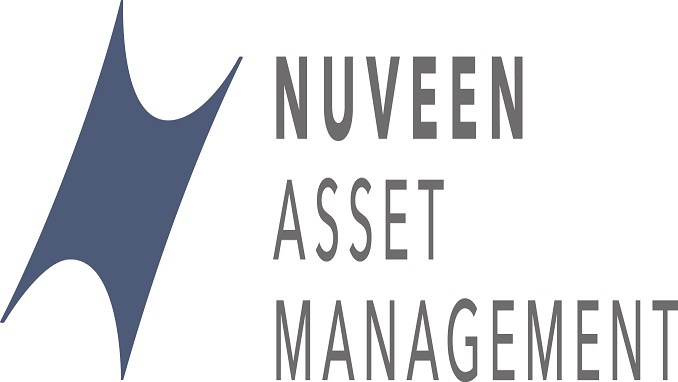 Nuveen, a leading global investment manager, added two actively-managed fixed income mutual funds to its responsible investing suite of funds. The TIAA-CREF Green Bond Fund (TGROX) and TIAA-CREF Short Duration Impact Bond Fund (TSDBX) draw on the firm’s decades of experience with both fixed income and responsible investing. The funds seek to deliver competitive financial returns and positive environmental, social and governance (ESG) outcomes. “Responsible investing should be at the core of prudent portfolio construction. It continues to appeal to today’s diverse generation of investors who are seeking specific social and environmental outcomes, alongside the financial performance objectives established for their portfolios,” said Amy O’Brien, managing director and global head of responsible investing at Nuveen. The TIAA-CREF Green Bond Fund invests in diversified investment-grade portfolio that leverages Nuveen’s expertise in labeled and unlabeled green fixed income securities designed to deliver competitive long-term risk-adjusted investment returns against its benchmark, the Bloomberg Barclays MSCI U.S. Green Bond Index. Investments primarily include securities issued by sovereign and local governments, corporations, securitized bonds and multinational agencies, with an emphasis on renewable energy, climate change and natural resources. This fixed-income subset may be attractive to investors who wish to make a positive impact on the environment and climate without compromising risk or returns. The TIAA-CREF Short Duration Impact Bond Fund seeks current income by investing primarily in a diversified portfolio of fixed income securities with an average maturity of three and a half years. The fund makes strategic allocations to bonds that demonstrate environmental and societal impact within affordable housing, community or economic development, and renewable energy, climate change and natural resources. The limited amount of time until maturity helps manage risks associated with rising interest rates and is designed to appeal to investors with a shorter time horizon or for retirees in a draw down phase. The fund’s benchmark is the Bloomberg Barclays U.S. 1-3 Year Government/Credit Bond Index. The funds will be co-managed by Stephen M. Liberatore, CFA, and Jessica Zarzycki, CFA. Both funds focus on undervalued, investment-grade securities and seek to add value through sector allocation, security selection and duration, and yield curve positioning. This investment approach gives special consideration to certain ESG criteria, with an emphasis on identifying publicly traded fixed income securities with a direct and measurable societal or environmental impact. “The launch of these innovative funds underscores our commitment to helping investors access the broad and deep responsible investing and fixed income solutions at Nuveen and build out this critical component of their portfolios,” said Scott Warner, managing director and fixed income product manager at Nuveen. The funds further diversify Nuveen’s existing suite of responsible investing-focused products, including the following mutual funds: TIAA-CREF Social Choice Bond (TSBRX), TIAA-CREF Social Choice Equity (TICRX), TIAA-CREF Social Choice International Equity (TSORX), and TIAA-CREF Social Choice Low Carbon Equity (TLWCX). With nearly five decades of responsible investing leadership, Nuveen is committed to applying principles of environmental, social and governance responsibility across the asset classes it manages to champion and advance better outcomes for investors, communities and the environment. Nuveen has more than 20 dedicated responsible investing experts, along with a comprehensive offering of responsible investing-focused mutual funds and ETFs. Nuveen is at the forefront of this approach, with innovations in ESG integration, impact and engagement. Two-thirds of Nuveen’s assets under management are invested in accordance with the UN-backed Principles for Responsible Investment. For an overview of responsible investing at Nuveen, explore our 2018 Responsible Investing Summary Report. Nuveen, the investment manager of TIAA, offers a comprehensive range of outcome-focused investment solutions designed to secure the long-term financial goals of institutional and individual investors. Nuveen has $988 billion in assets under management as of 9/30/18 and operations in 16 countries. Its affiliates offer deep expertise across a comprehensive range of traditional and alternative investments through a wide array of vehicles and customized strategies.